Bentley Systems announces the early access of OpenPlant CONNECT Edition. 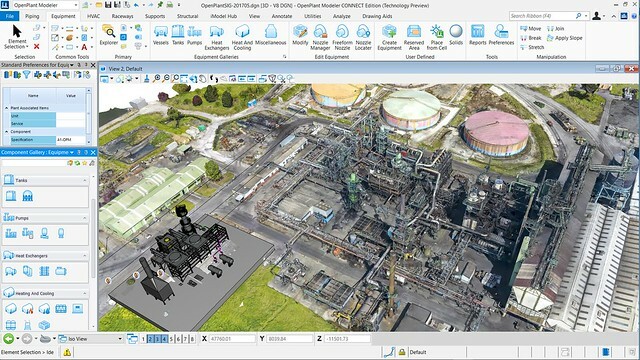 OpenPlant CONNECT Edition is the latest evolution of Bentley’s plant design software that enables users to improve design and operations with a collaborative, intelligent, 2D and 3D plant design environment based on open data standards. OpenPlant CONNECT Edition improves collaborative, multi-discipline plant design productivity by connecting to project collaboration services, supporting cloud-based asset tag management, and synchronizing lifecycle information with enterprise data stores. 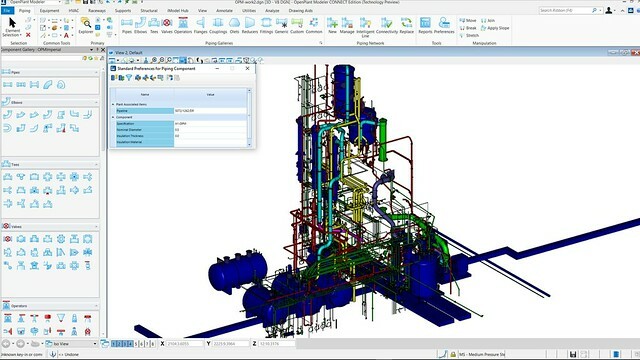 This release allows collaboration between individuals and teams with the ability to coordinate work, easily share information within the extended supply chain, and manage the exchange of plant design deliverables such as orthographics, isometrics, bills of material, and reports for pipe, supports, equipment, and instrument lists. Users can also take advantage of issues resolution and act on insights through project metrics and KPIs without IT set-up or additional investments. OpenPlant provides advancements for multi-discipline engineering of plants. It is widely adopted by leading plant EPCs and owner-operators as a practical and scalable solution to comprehensively support project delivery. Through its use of iRING/ISO 15926 as an intrinsic data model, OpenPlant enables users to coordinate and share information across multiple disciplines and the infrastructure lifecycle.